Would You Guess that Wood & Patterned Paper Could be so Pretty? 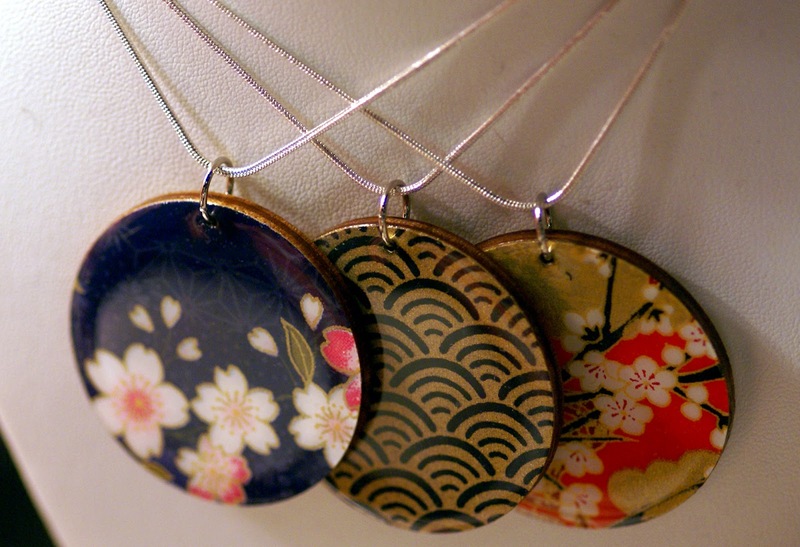 Jewelry with Simple Shapes & Not so Simple Decorative Designs! Jewelry making is a very common craft, but every noteworthy artist within this specialty has their own flair that makes them stand out, be it the materials they use, the techniques they employ, their source of inspiration or any other number of factors. For Manue Reynolds of PrettyKiku, it is all of the above. She starts by gathering beautifully decorated paper known as Japanese Chiyogami. For anyone who's dabbled in origami, these papers and patterns are probably familiar. Of course, Manue finds paper that is even more unique and wonderful than what you may have seen. Some are mostly abstract or geometric, while others depict characteristic natural elements like flowers and fish, but all feature bright and beautiful colors. These papers are carefully cut and applied to laser cut wooden backing, bringing earrings and necklaces to life. 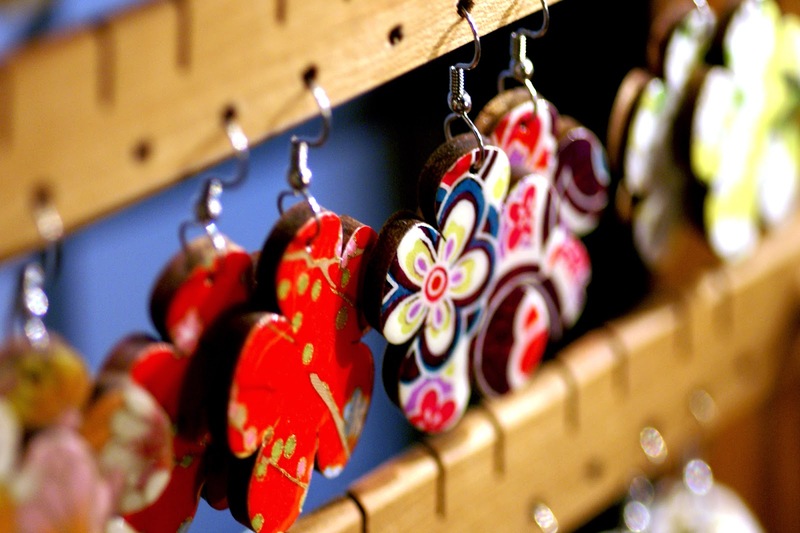 What's great is not only the variety of patterns to choose from, but also the wide range of earring and pendant shapes: Circles large and small, Rectangles, Dangles, Studs, Flowers, Semi-Circles and more. The finishing touch for each piece is a coat of varnish that really makes them shine. 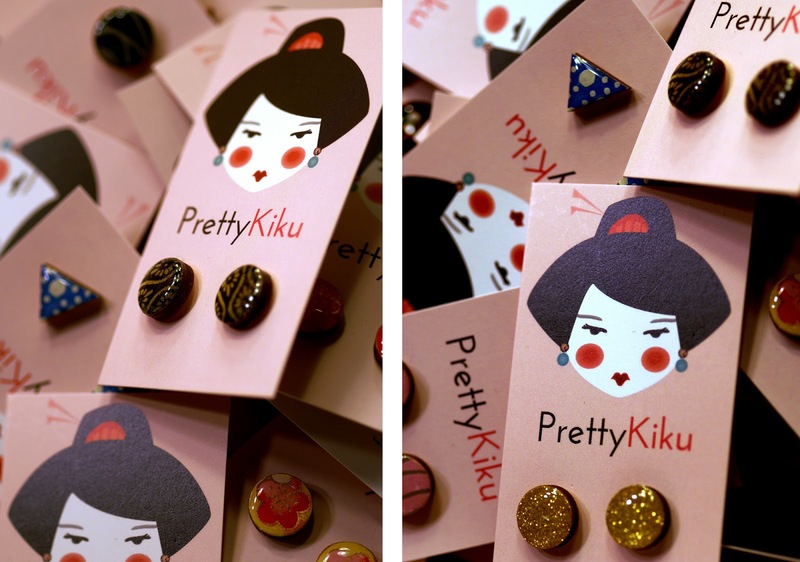 You'll see PrettyKiku at many local Austin art events. 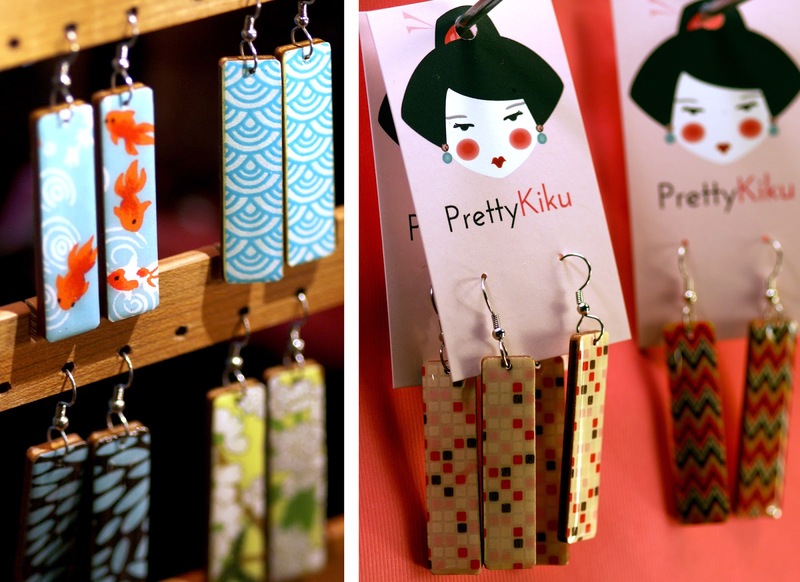 Just look for the booth radiating Color, Pattern and Creativity!